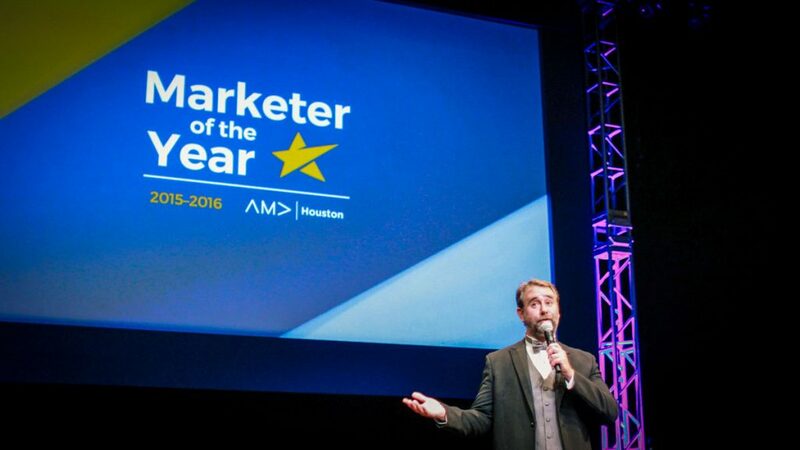 Prior to 2016, the Houston Chapter of American Marketing Association annual Marketer of the Year Awards ceremony felt more like a meeting than a celebratory event. 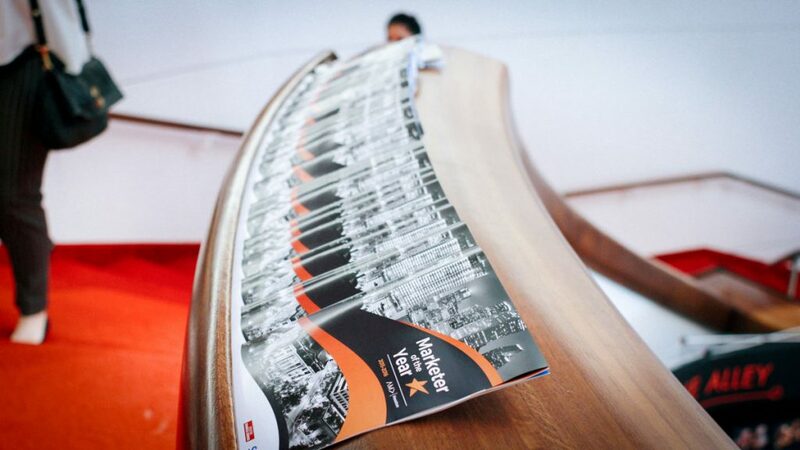 The ceremony need a refresh and aimed to provide a fully-activated experience for their critical audience: marketers. 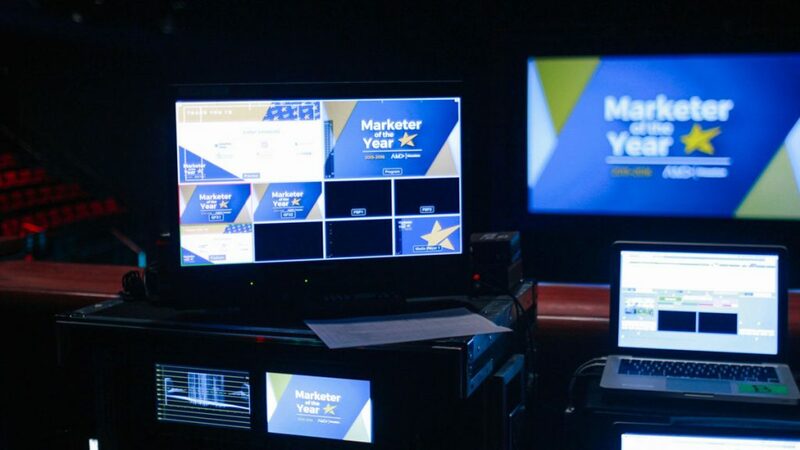 Staging Solutions was tasked with transforming the previous AMA MOTY awards ceremony into an interactive and exciting event that gave well-deserved recognition to winners in 21 categories. One of the biggest issues to overcome was the length of the program extending over three hours. 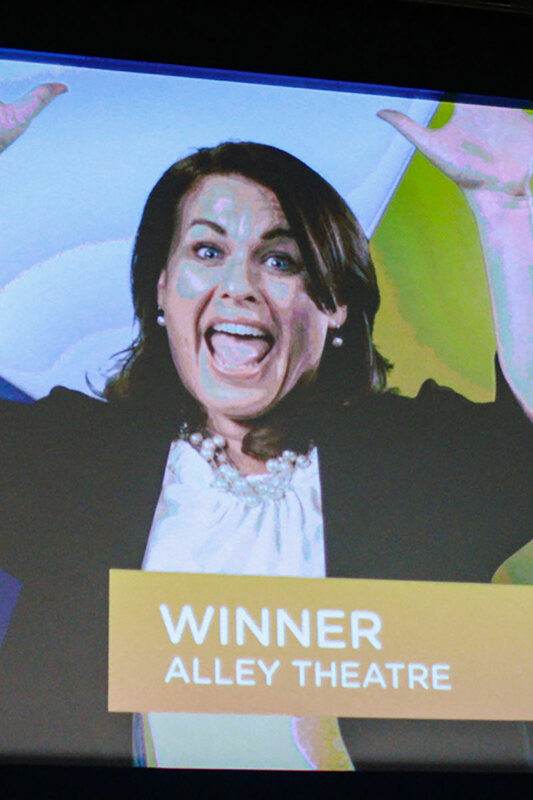 Previous programming caused long stretches of time between announcing winners, getting people onstage and off, and transitioning between categories. Staging Solutions recommended using a first-rate MC to host the event, both to keep the show on pace and the audience engaged. Comedian Mike McCrae was recruited by creative director Tim Thomson to fill that much need role. Mike expertly managed the timeline while keeping the crowd laughing throughout the show, creating a welcoming and entertaining experience for all. Staging Solutions producer Scott McClennen offered an additional creative solution of using music to drive the pace. After internal collaboration, a piece was chosen to set the mood and establish the tempo of the night. This piece ran under all the important moments of the show, and created a timeframe for each category. Scott rehearsed the show with the music and the MC, and together they were able cut the show’s run time in half – from 180 to 90 minutes. 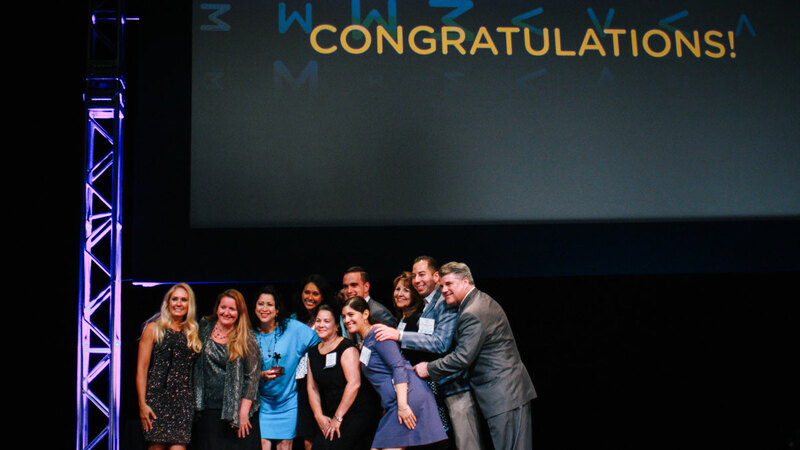 AMA wanted an engaging and celebratory experience for Houston’s best marketers. Prior to the event, we utilized our professional quality, in-house green screen studio to film nominees. 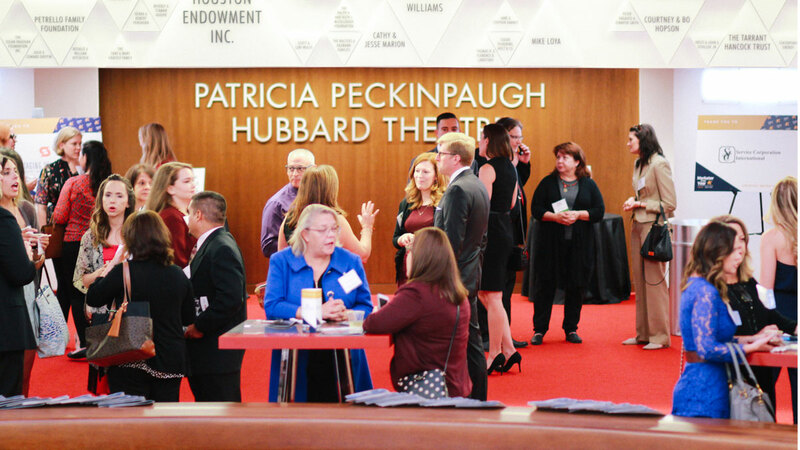 Here Staging Solutions’ team was able to create a custom showcase for the nominees: a pre-recorded video segments featured each nominee greeting the crowd and then a featured video of the winner reacting to their win. The audience was thoroughly entertained, and downtime was eliminated. This fresh approach resulted in an enjoyable and rewarding experience for the guests, who are already looking forward to next year’s event. 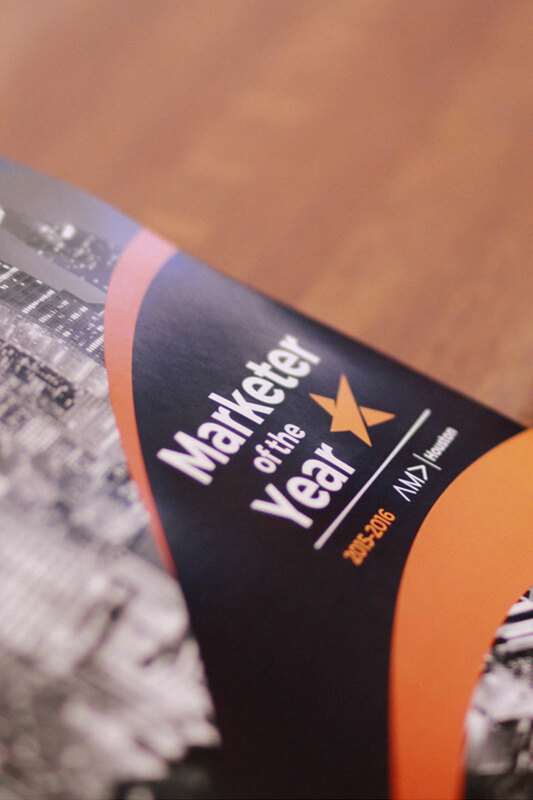 The excitement and enthusiasm in the room at the AMA Marketer of the Year Awards was palpable, and clearly the desired result of the client. The audience was delighted, making the AMA extremely happy and eager to continue the relationship with Staging Solutions’ creative team. A holistic approach, unique resources, and flawless execution ensured a successful event, and provided an opportunity for Houston’s marketers to experience what Staging Solutions offers first-hand. 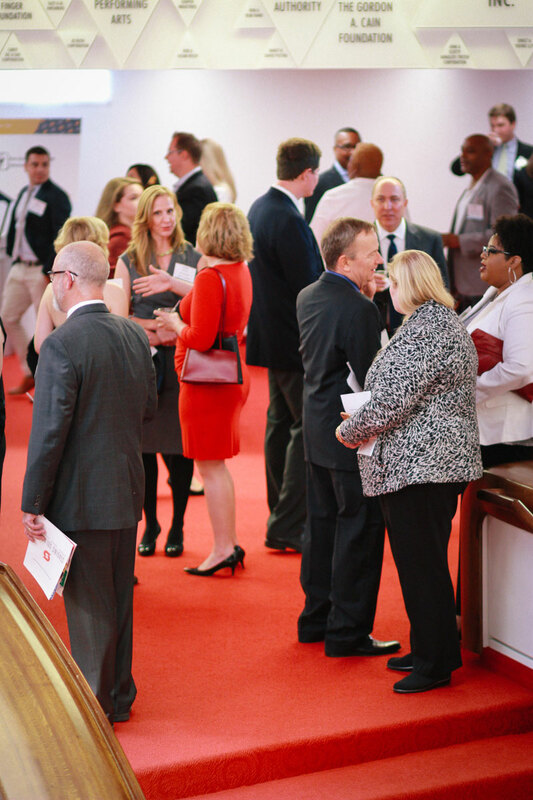 The AMA enjoyed the experience so much that they hosted their 2016 Holiday Party at our office, and invited us to produce next year’s MOTY Awards show.